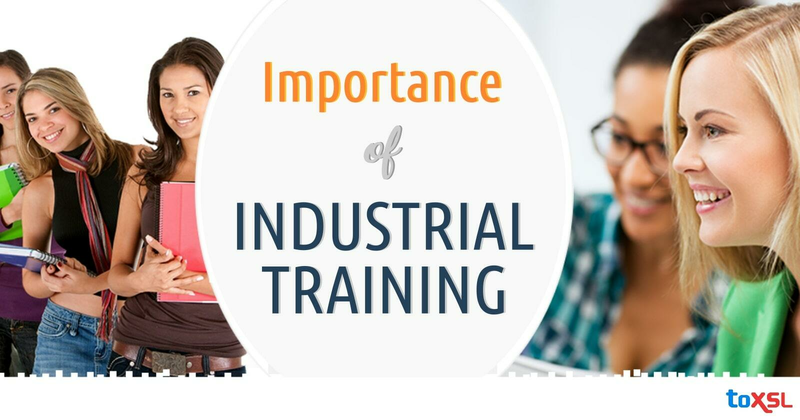 Why Industrial Training is Important for a Bright Career? These days getting a good job is extremely troublesome regardless of having the required degrees and academic qualifications. Organizations would prefer not to invest time, money, and efforts on training a person and thus prefer experienced candidates. That is the reason industrial training is very important. Industrial training gives an insight into the organization and its approaches to deal with a problem. It is aimed at imparting the required skill set, information to improve the candidates' performance or to encourage him/her to meet their career goals. It helps the student in polishing the desired skills and create a market demand. It imparts them with necessary skill sets, increases their contribution and effectiveness and opens the door of brilliant career opportunities. Below we have discussed some of the most important objectives of Industrial Training. Equips Candidates with Necessary Skill Sets, Experience, and Knowledge: There are various schools/organizations offering a various degree course in IT but enrolling in IT institute is not adequate. Institutes and colleges pursue a different pattern or syllabus. It is not possible for them to update it with every new discovery and development in the world. The students need to work hard, search for different options by which they can acquire the essential skill sets to compete in the quickly evolving market. A decent Industrial Training Company is one of the options. It bridges any hindrance in the academic curriculum and in the IT business. It helps students to learn new technology, stay updated with market demand, making them aware of new development and discoveries and develop skills required to become employable. Prepares Students for Future Employment: Organizations or industries lean toward candidates who are technically qualified, well-trained and have experience in working real-work environment. They do not want to spend their resources on training or building candidates for their organization when they already have better options in the market of getting well-trained qualified candidates. It also gives opportunities for students to get a job in the same place where they are experiencing industrial training. Provides Exposure to Tools and Technology: None of the tools used in the industry are part of their academic curriculum. It also gives the chance to be a part of live tasks which sharpen their technical skills, analytical and logical thinking and builds self-confidence in them. If students need to kick-start their career where there will be unending openings for opportunities, joining industrial training is a must for a certificate as well as for practical experience. Industrial training incorporates them with the integrated learning environment mixed with practical knowledge, hands-on exposure, and project-based learning giving an additional advantage to their career. We have been awarded ISO: 9001:2015 certification! Be Employable! Add required skills to your resume.